Increasingly, the salt-, sugar-, and fat-laden foods these companies produced were being linked to obesity, and a concerned Kraft executive took the stage to issue a warning: There would be a day of reckoning unless changes were made. This executive then launched into a damning PowerPoint presentation—114 slides in all—making the case that processed food companies could not afford to sit by, idle, as children grew sick and class-action lawyers lurked. To deny the problem, he said, is to court disaster. When he was done, the most powerful person in the room—the CEO of General Mills—stood up to speak, clearly annoyed. And by the time he sat down, the meeting was over. 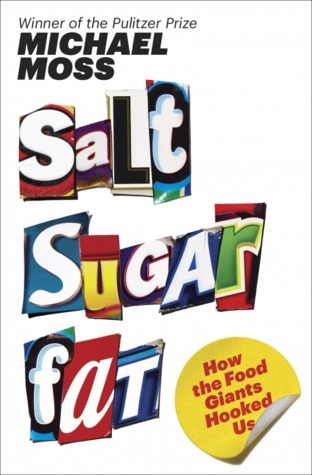 In Salt Sugar Fat, Pulitzer Prize–winning investigative reporter Michael Moss shows how we got here. Featuring examples from some of the most recognizable (and profitable) companies and brands of the last half century—including Kraft, Coca-Cola, Lunchables, Kellogg, Nestlé, Oreos, Cargill, Capri Sun, and many more—Moss’s explosive, empowering narrative is grounded in meticulous, often eye-opening research. Moss takes us inside the labs where food scientists use cutting-edge technology to calculate the “bliss point” of sugary beverages or enhance the “mouthfeel” of fat by manipulating its chemical structure. He unearths marketing campaigns designed—in a technique adapted from tobacco companies—to redirect concerns about the health risks of their products: Dial back on one ingredient, pump up the other two, and tout the new line as “fat-free” or “low-salt.” He talks to concerned executives who confess that they could never produce truly healthy alternatives to their products even if serious regulation became a reality. Simply put: The industry itself would cease to exist without salt, sugar, and fat. Just as millions of “heavy users”—as the companies refer to their most ardent customers—are addicted to this seductive trio, so too are the companies that peddle them. You will never look at a nutrition label the same way again. The other night at book club, I told one of the other moms (hi, Abby!) that I was planning to review this book soon. She was interested, but expressed disdain at the overwhelming amount of information out there about how bad our food is these days. I had to agree. Every time you turn around, there's another news article or viral Facebook post telling you to cut back on food additives, or sugar, or carbs, or whatever. As much as I want to eat healthier (and feed my family better food), it can all be a bit much. However--I do love books like this one in moderation (maybe once a year or so?) in order to remind myself of some basic principles to get my eating back in order. For example, I read Michael Pollan's In Defense of Food in 2009, and spent the rest of that year trying to eat more vegetables and good fats as a result (if you like the Mediterranean diet, you MUST read that book. Yum). Last year, I read Pooja Mottl's The 3-Day Reset, and started trying to lower my sugar consumption. Do books like this make me avoid processed foods entirely? No, but I think I benefit from a little kick in the pants once in a while. Enter Salt Sugar Fat. I heard great things about this expose of the processed food industry back when it was first released, and given my resolution to eat better this year, it was high time for some food reading. 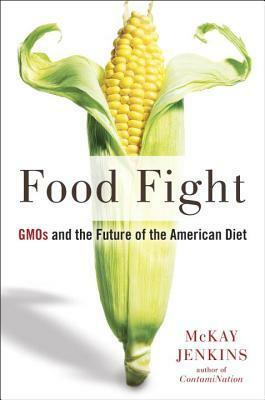 Despite the subtitle on this book, I wouldn't necessarily say that it's a war cry against the processed food industry. Actually, the increasing consumption of salt, sugar, and fat seems to be based on a vicious cycle between what the public wants and what the food companies can profitably (for them) provide. America wants more convenience foods? The food companies gave it to them, but with lots of unhealthy ingredients to increase shelf life and make them palatable. Now Americans are obese and need healthier food? Some food companies do, in fact, want to provide that--but as soon as salt/sugar/fat levels in the food are lowered, taste is compromised, and the companies can't make money off a bland-tasting product. So back to salt, sugar, and fat we go. That's not to say that the food companies shouldn't be held largely responsible. They created America's cravings for unhealthy foods, and they are doing little to reverse them. (Not to mention, they are working hard to bring those cravings to other countries.) In fact, they keep doing research to find out how to make us MORE addicted to their stuff. But one of the most interesting things about this book was the interplay between what Americans want, and what the companies feel pressured to provide. Many of Moss's interviewees were former industry employees who had tried to enact healthy change in their companies, but in the end, they were nearly always thwarted by the bottom line--companies are going to offer the things that sell. And what sells is salt, sugar, and fat. Moss also delves into the science behind our addictions to these three ingredients, which was super fascinating. Between the revelations about the food industry and the biological details of our dependence on salt, sugar and fat, my first trip to the grocery store after reading this book felt like doing battle. "I KNOW WHAT YOU'RE TRYING TO DO THERE WITH THAT PRODUCT PLACEMENT, GROCERY FIENDS! Take your 'all natural' claims and shove 'em!" But really, this is all good information to have if you want to be a more conscious and empowered shopper. While the level of detail might be a bit overwhelming (towards the end, I was getting a little bored with the financial info about the food companies), this is an extremely well-researched look at processed foods, and a great way to start off your new year if you're looking to become an educated eater. Confess it, readers: what's your greatest processed food weakness? 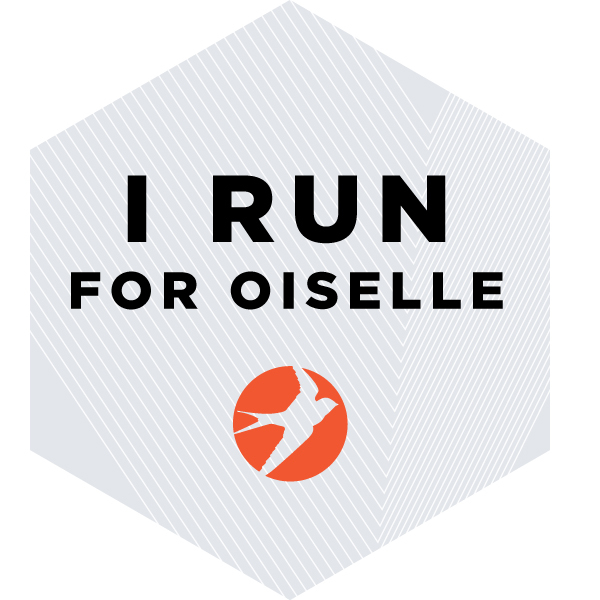 Mine is Oreos. OREOS ALL DAY. Bonus if they're the holiday White Fudge ones. I loved this book and it's one of the things that led me to rid my home of "food like substances." If you don't do processed foods (I use the term food very loosely, lol.) you don't have to think about what crud they are putting in those foods. We aren't perfect, there are times when Oreos make it into my cart...mmmm. But we're trying hard. Society is set up so that it's not easy though. I have the time to cook, most of the time. If I had tried it while working full time or while my kids were little I don't know that I would have succeeded! I just ate 3 white fudge Oreos. Le sigh. I so admire your determination to eat natural. I try, so hard! And really, given the fact that we rarely eat out and I do cook MOST days, I'm doing okay. But as you said, with young kids it is so difficult. One, because of the time it takes to cook. Two, because the kids are picky (Small Fry goes grocery shopping with me and spends the whole trip saying, "I don't want to eat that!" as I put things in the cart). Three, non-processed foods are more expensive. I wouldn't mind getting over the expense hurdle if the first two problems were easier to overcome! I guess for now I'll just do what I can and work my way up to more non-processed stuff as the kids get older. I'm terrible about overeating anything chocolate! I periodically convince myself that I can buy something chocolate and eat it in moderation, but the truth is, I have to just not buy it (as Gretchen Rubin would say, I'm an abstainer, not a moderator :)) I like the idea of reading a book like this as a way to motivate myself to eat healthier and this sounds like a good one. Oh I'm totally an abstainer. I need to just have it out of the house! If it's here, it's getting eaten...quickly. I do think you would like this one! A great non-fiction food pick.